The Best Electric Bike Shop in the Pacific Northwest! We strive as a company to provide eco-friendly alternatives for city and urban transportation in Seattle and surrounding areas. The Seattle E-Bike team recognizes the increasing cost of living and parking in Seattle, as well as the geographical challenges the local, urban, and regional areas provide. Therefore, providing a clean alternate means of transportation to get from point A to B more efficiently makes sense. We provide the largest selection of electric bikes: many from Europe and some of the top domestic brands. Riding an electric bike provides not only exercise that you might not be getting on a regular basis, but also easily gets you up the hills to and from work without having to break a sweat. It's over the past 7 years of being in business that we have come to learn what our fellow e-bike riders and customers need. BUT NOT SERVICED BY OTHER STORES IN THE SEATTLE AREA. We have reflected these needs in our extensive 20+ brand e-bike line in our store, including not only electric bicycles, but also stand-up scooters, skateboards, trikes, cargo bikes, and conversion kits. We also work with delivery businesses in the city like UPS who are looking for more effective and efficient ways to serve their customers. For information on fleet sales, other business-to-business solutions or government situations requiring knowledge of the SF330 proposal w/Section H and bidding process, contact brian@electricbikeseattle.com. You can also contact Brian for strategic partnering for events in Washington. 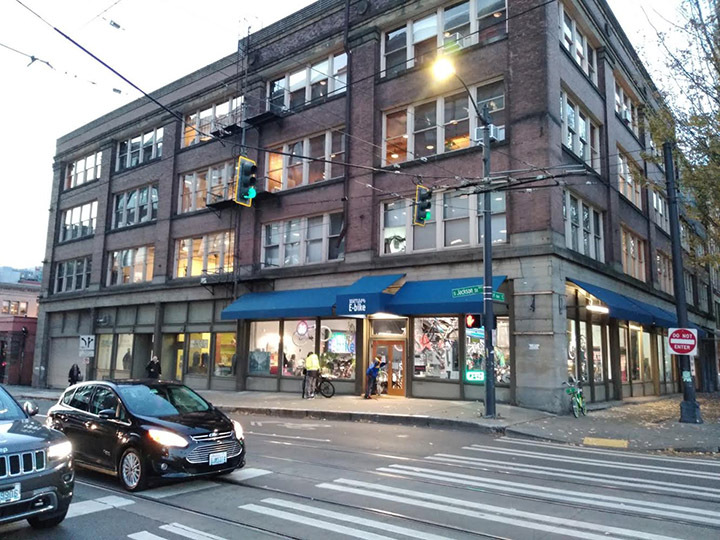 We service all of the transportation devices that we sell as well as regular, non-electric bikes, making our new location in Pioneer Square your ultimate one-stop location. Our expertise comes from understanding all the different systems used by the top electric bike manufacturers in the world. This is also why we are the most sought after mechanical and electrical experts for designing and building custom electric bikes and repairing or restoring do-it-yourself creations into working order. If you do not live in Seattle, we are happy to ship to you! We even deliver in-city for those who cannot transport bicycles. Please contact the store for a shipping quote. Why ride an electrical bike? If you know how to ride a normal bicycle, you can ride an electric bicycle. A better mode of clean transportation, the savings of an electric bike over a car are big. A typical 10-cent charge will take you from 25 to 50 miles with pedal assist and possibly further based on the motor and battery. Without pedal assist, the distance reached is less but still lots of fun. Eliminate parking fees. Electrical bikes are easy to maintain - just bring it by our store at least twice a year. All electric bikes we carry have lithium-ion batteries that lasting a long time - with proper care. The carbon footprint per mile compared to a car, truck, or SUV is minuscule. Just about everyone loves riding their e-bike. And the more they ride, the better they feel. Whether you are riding for recreation or transportation, e-bikes liberate you from the confines of your car, the crowded and uncomfortable bus, and it keeps you constantly active while you ride. New to electric bikes or recently moved to Seattle? Call our store at 206-344-800 or visit us at 220 South Jackson Street in Pioneer Square. Right on the corner of Jackson and 3rd Avenue South.